The United States has always had a complicated relationship with gambling, particularly in the past 100 years. In the early 20th century, virtually all forms of gambling were prohibited in the U.S. The only legal betting was allowed at horseracing tracks in three states. The New Mexico and Arizona territories were forced to outlaw casinos before they were granted statehood in 1912. The anti-gambling mood changed during the Depression in the early 1930s, when controlled, legalized gambling was seen as a way to help stimulate the nation's ailing economy. States started small, beginning by decriminalizing bingo, and usually only for charitable purposes. Nevada legalized almost all forms of gambling in 1931 and, during the 1930s, 21 states started to allow betting on horseraces. Along with the rise of legal gambling came increased attention and an increased crackdown on illegal gambling. Reform candidates were elected across the country -- including Mayors Anton Cermak in Chicago, elected in 1931, and Fiorello La Guardia in New York City, elected in 1934 -- on promises to fight illegal gambling, the organized crime it supported, and the corrupt political systems that allowed it to operate. In Los Angeles, the main gambling targets were the floating casino ships, which would take customers just outside the three-mile limit of state jurisdiction. By 1930, a fleet of gambling ships operated offshore, from Long Beach to Santa Monica, with some open 24 hours a day, and a capacity of up to 3,000 guests. Municipal reform in Los Angeles closed down many of the thriving illegal gambling operations in the city, many of which were operated by organized crime with the assistance of corrupt legal and political operations. Many of the displaced L.A. gangsters, including Benjamin "Bugsy" Siegel, moved to Las Vegas, where their skills were needed to help launch that city's new legal gambling industry. But, just as Prohibition didn't prevent the illegal sale and consumption of alcohol, anti-gambling laws didn't stop illegal gambling. It just drove the gamblers underground. In September 1945, Harold Sawallisch, California state assemblyman and chairman of the Assembly's Public Morals Committee, said illegal gambling was rampant in the metropolitan centers of the state, adding "Los Angeles is the black spot of the state and should be cleaned up first." The house on Castelar Street was regularly used for gambling, for players carrying large amounts of cash. On two previous occasions, gunman interrupted the dice game, taking nearly $10,000 on one occasion, and more than $20,000 on the other. Due to the large amount of cash at the dice game and the fear of another robbery -- which, of course, couldn't be reported to the police -- the organizers of the game hired a 33-year-old ex-con as a security guard, at $10 per night. The security guard had recently been released from Folsom State Prison, where he served a sentence of 5 years to life for robbery, and had previously served time at San Quentin State Prison. When three plainclothes police officers from the LAPD Central Division's vice squad arrived to raid the dice game on Castelar Street, the security guard was in the back yard of the house. 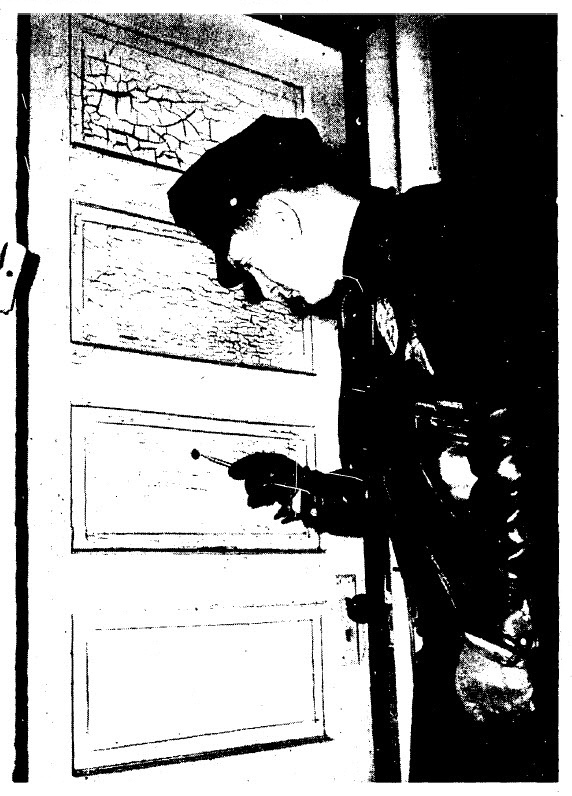 During the raid, Officer A.M. Metcalf went to the front door, while Officers Frank MacDonald and John Harris went to the rear door and forced their way in. While Metcalf stood guard at the front door and Harris at the rear door to prevent anyone from leaving, MacDonald rounded up the 15 gamblers inside the house and started searching them for weapons. The security guard, thinking that the plainclothes officers were hold-up men, fired several shots into the air, attempting to scare them off. When that didn't work, he aimed his next shot at the rear door of the house. The .32-caliber bullet went through the wooden door, hit Harris in the back and went through his left kidney. As Metcalf and MacDonald helped their injured fellow officer, the 15 men in the gambling house fled. Six of them were quickly captured by other officers arriving at the scene, and the other nine eventually turned themselves in. The security guard, who admitted firing the shot, was arrested and charged with assault with a deadly weapon. Harris, 35, was taken to Georgia Street Receiving Hospital, where his wife and their 13-year-old son visited him. Harris was given blood transfusions to build up his strength before surgery, but he died the next day, and the charges against the security guard were upgraded to murder. John Wyatt "Jack" Harris was born Dec. 10, 1910, in Peoria, Ill., the only child of Clarence Edward Harris, a wholesale grocery clerk, and Mae Greenwell Harris. As a teen-ager, Jack Harris worked as a hotel clerk in Peoria. In 1931, Harris married Elena Ramos, and the couple lived in Peoria, where Harris worked as a salesman for the Baker-Hubbell Dairy. Their son, Jack Jr., was born in August 1932. In 1938, the family moved to Los Angeles, where Jack worked as a salesman and driver for Arden Farms dairy and grocery retailer, and Elena worked as a dressmaker. In the early 1940s, Harris joined the LAPD. Officer Harris was buried in the Springdale Cemetery and Mausoleum, in his hometown of Peoria. His mother, Mae, joined him there in 1957, and his father, Clarence, the following year. Ten weeks after the shooting, Harris' killer pled guilty to manslaughter, and was sentenced to one to 10 years in prison. 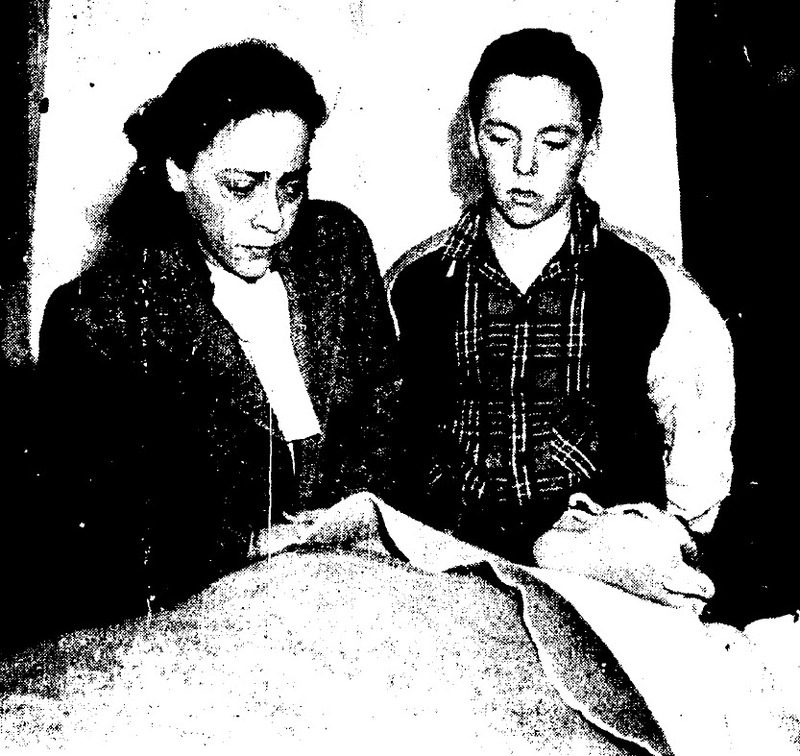 Harris' widow, Elena, re-married in 1952. She died in Rancho Cordova, near Sacramento, Calif., in 1985. Officer Harris' sign is located on the northeast corner of West Cesar E. Chavez Avenue and Hill Street, beneath the overpass.